Cheryl Turnquist is the owner of The Providence Pilates Center in Providence, RI. She has been teaching Pilates since 1999 and was first trained by the Physicalmind Method of Pilates. She then began studying the Power Pilates method and earned her Bridge certificate in 2006. 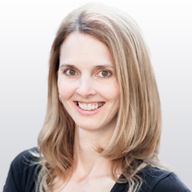 Cheryl became a Teacher Trainer for Power Pilates in 2012 and is also Pilates Method Alliance (PMA) certified. Through the years, Cheryl has attended numerous conferences, continuing education classes and sessions to further her Pilates expertise. Along with her Pilates work, she was a group fitness director for a nationally recognized fitness chain from 1998 - 2005. She has certifications with AFAA group fitness, spinning, TRX suspension systems, Yogafit and more. Ms. Turnquist has a BA from Providence College, an MSW from Boston College, and holds licensure as a Licensed Clinical Social Worker (LICSW) from the state of RI. She has practiced as a therapist in a public school system and for several non-profit local community mental health centers at various times throughout her career. When she is not teaching at her studio, she most enjoys spending time at home with her family, reading, and playing the piano. Find Cheryl Turnquist at a studio near you.